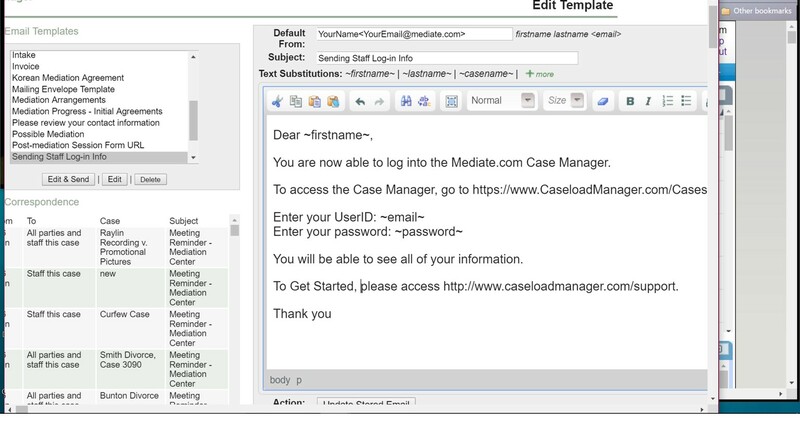 When you order Caseload Manager, there is a staff log-in template in the Email Hub. To access it, click on the Mail Hub in the upper-right of your home screen. Look at the templates in the upper left, and you will find Sending Staff Log-in Info. You may edit it by clicking Edit. You may send it by clicking Edit & Send. You can send this template to an individual staff person, or you may choose to send it to "All Active Staff from the drop down menu.